Mobile Hose Service, 24/7, 365 Days, specializing in reducing customer’s equipment downtime and operating costs. 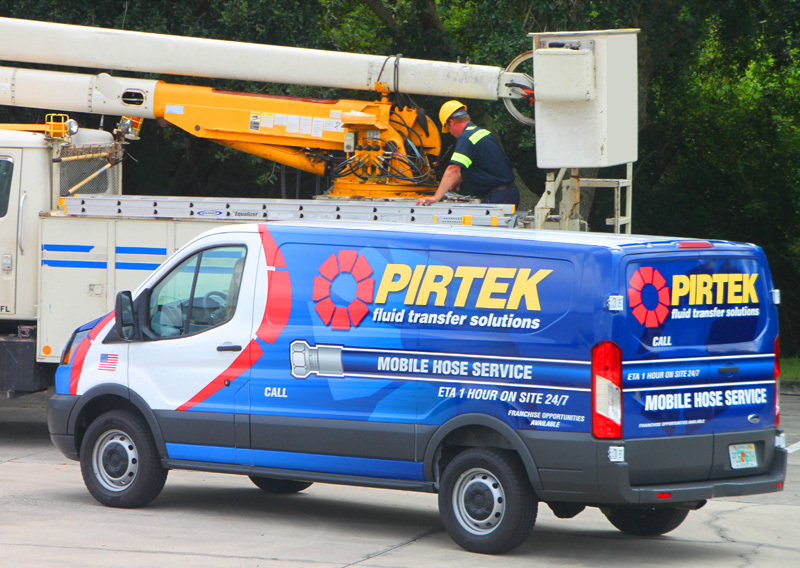 PIRTEK provides the fastest hydraulic hose replacement and industrial hose repair service in the area. Our ETA 1 hour on site hose service, available 24/7, is a simple solution that minimizes equipment downtime and eliminates the need for our customers to leave their jobsite or facility to locate a new hose. 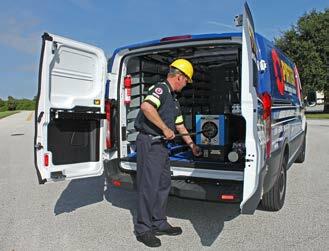 Just one quick call to PIRTEK will get a trained technician and a fully stocked on site hose workshop with an extensive range hydraulic hoses and hydraulic fittings on their way to your job site. With an ETA of 1 hour on site, our hydraulic hose repair service is available day and night. 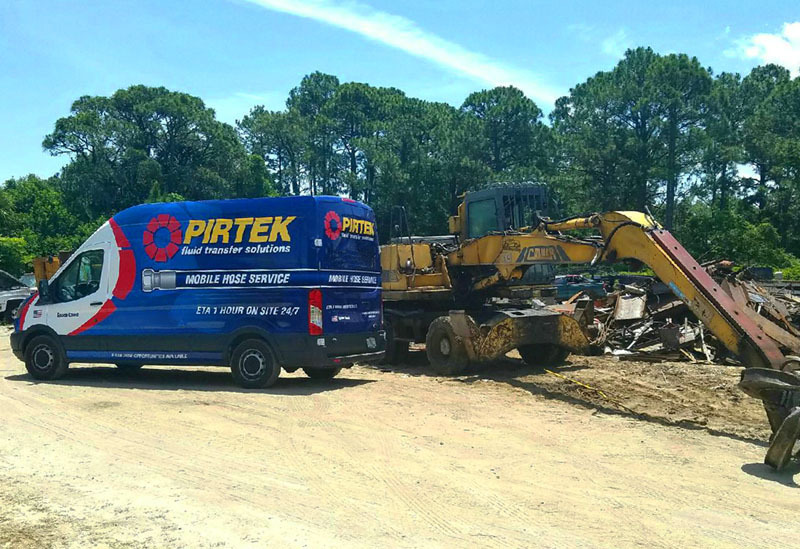 To minimize your equipment downtime and operating costs, PIRTEK needs to be your only call for on location hydraulic hose replacement.